We welcome you to the official website of Uniontown Veterinary Clinic, serving dogs and cats in Uniontown, Hartville and Green, Ohio. We look forward to serving as your pet's "other best friend" by providing a lifetime of health and wellness services, from fundamentals such as wellness checkups and pet dental care to advanced techniques such as pet laser surgery. We know you expect no less for any other member of your family, and we value your animals as if they were our own. Great veterinary care begins with a great veterinary team. If you've been looking for skilled, experienced, compassionate veterinarians who will bond with your pet and serve as your trusted advisors, you'll be delighted to know that we have a great team to help you. 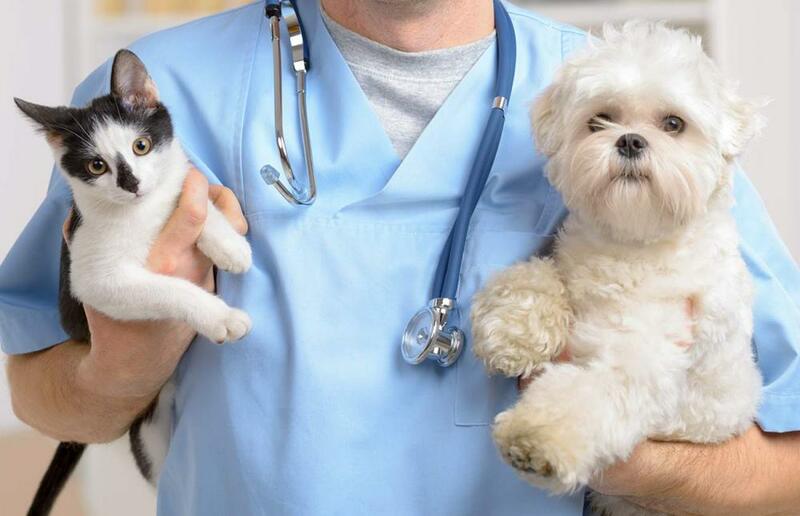 Whichever veterinarian works with your pet -- Dr. Joe Gainey, Dr. Alyssa Auer, Dr. Jeremy Blankenship or Dr. Vedessa Meluch -- you can rest assured that your beloved companion is on good hands. We always explain any conditions, concerns and procedural options to the owners who place their faith in us so they always know what we're doing and what needs to be done next. We're also happy to educate owners on best practices for taking care of pets at home, from dental hygiene to proper dietary habits. Uniontown Veterinary Clinic can provide comprehensive services to keep generations of cats and dogs feeling their best at all stages of life. We emphasize preventative wellness exams, pet dental care, spay/neuter surgery, vaccinations, parasite prevention and other helpful procedures to keep diseases at bay. If your pet does fall prey to illness or injury, our vet clinic is ready to provide assistance up to and including pet laser surgery. Our in-house laboratory and sophisticated diagnostic equipment ensures that your pet gets the right help as soon as possible. Our vet clinic also provides important services for pets that are on the mend from an illness or injury. We offer K-9 rehabilitation to help dogs regain strength, flexibility and neurological function. We also provide laser therapy for drug-free pain relief of chronic pain and to speed healing of soft tissue damage. We even offer canine reproductive services for dogs that require assistance with breeding or delivery. Ready to give your pets care they need for a lifetime of better health? We would love to meet them, and you. Call (330) 699-9937 to set up an initial appointment at Uniontown Veterinary Clinic today! Special Savings for NEW CUSTOMERS!! Scheduled drop-off as early as 7am! "Thank you for being here for us when we lost our dear dog Elvis! The card we recieved was very thoughtful and appriciated. Its been a hard time and all of you made it a little easier knowing you cared."